Just outside of Auckland, on what looks like a fairly normal piece of farm land on the coast, was a New Zealand Defence department base. Most people would drive past, fairly ignorant of what's there, on their way down the Firth of Thames towards the Hauraki Plains and Coromandel. When I was a kid, we used to drive that way at the start of our holiday in our old and slow campervan and, while a little longer, it was always much quieter than going down the main road. I used to wonder what they did there - and I eventually found out (it wasn't a secret). It was for any visiting military ships to deposit and store their weapons safely before docking in Auckland. It was far enough away that any conventional weapons wouldn't harm the city if they went off, but close enough to be convenient. Nuclear weapons were a whole other ball game tho. New Zealand's anti-nuclear stance has long been something that I think most kiwis are rightly proud of. From David Lange's government in the 80s onwards, no party has ever put it on the table. 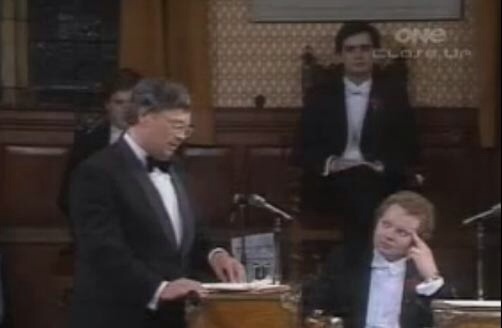 Lange's speech at the Oxford Union Debate really shows what a masterful orator he was. It's well worth listening to. For those who didn't grow up in New Zealand, our government demanded that the US disclose if any visiting ships were either carrying nuclear weapons, or were powered by a nuclear reactor. The US refused, so we refused having them, and made New Zealand a nuclear-free zone. We don't have a ban on nuclear power or on nuclear medicine or research, but nuclear power is generally off the table. A general policy of taking the good stuff, and blocking the bad. It's worked well for us over the last 30 years. I recently read Eric Schlossers book Command and Control. It deals with the US side of that story - the development, management and running of their nuclear weapons program from the Manhattan Project right up until the end of the Cold War. The book is broken down into two interwoven parts. The first is a discussion on the logistics, statistics and hard facts of the nuclear program, and the second is (I assume) a dramatisation of an actual incident with a Trident 2 missile, which nearly resulted in a nuclear detonation. When he started on his nuclear researches, Schlosser conceived the book as something contained and compact. It would be the tale of one of the most serious accidents in the nuclear age, when, in September 1980, a Titan II missile, similar to the one he had witnessed taking off from Vandenberg, exploded in its silo in Arkansas following routine repair work that turned bad. The missile was carrying a thermonuclear warhead with a yield 600 times that of "Little Boy", the bomb dropped over Hiroshima. The warhead was blasted hundreds of meters into a ditch, but failed to detonate. The really scary bits are not in the dramatisation tho - they are in the "real" part, mostly just how close the US came, time and time again, to an accidental detonation or other accident, the bickering between the forces (army, navy, Air Force, and strategic air command), and the toll it took on the service men and woman who had to maintain and run the missile and bomber programs. It really was blind luck that it didn't happen. Schlossers book, and the various articles which have been published recently which summarise some of it, is a very good read, especially if you have an interest in Cold War politics and the nuclear arms race. As I am writing this, Leonie and I are in Hahei, were we got married 12 years ago. 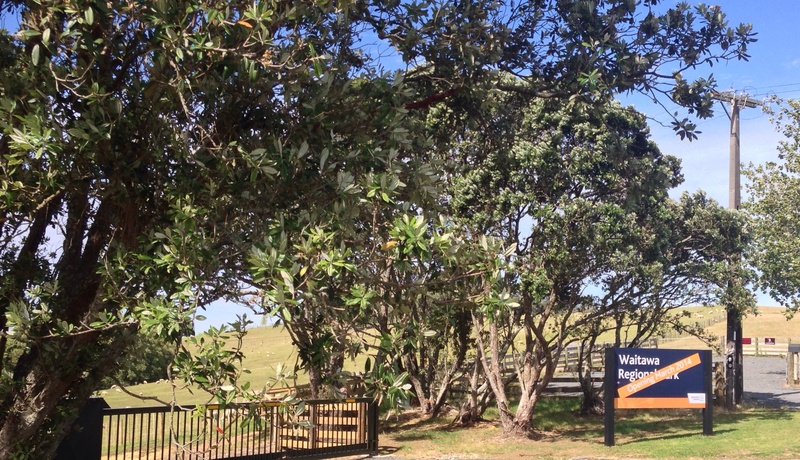 We went down that back road to get here, and I noticed that the old defence site is soon going to be Auckland's latest Regional Park - Waitawa. I think, given New Zealand's defence stance, that's a very fitting use for it.